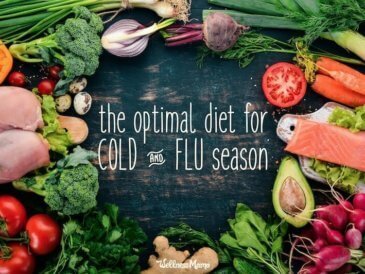 I’ve shared my recipes for chewable gummy vitamins and healthy fruit snacks before, and today I’m sharing a flu-busting combination of the two. 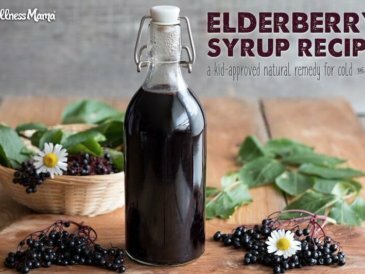 It seems that this flu season is going to be a bad one, and elderberry syrup is one of my favorite natural remedies for avoiding or beating the flu. 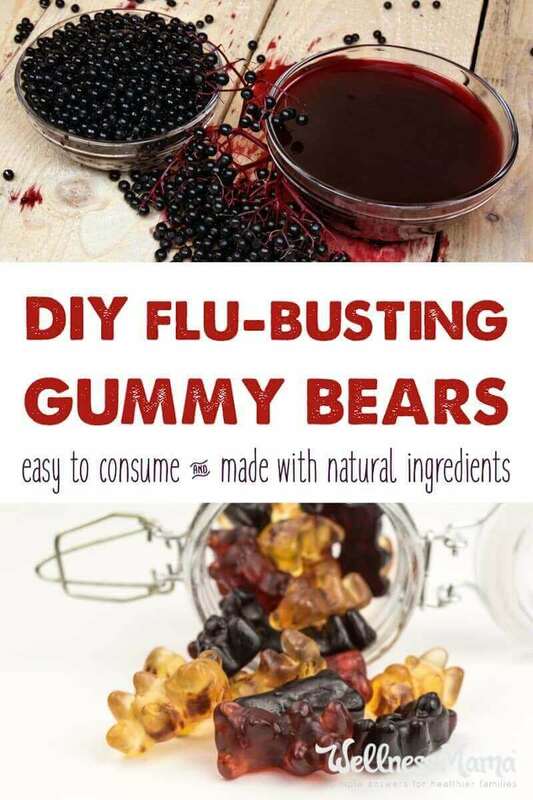 These flu busting gummy bears combine the immune boost from elderberry syrup with the gut benefits of gelatin for a healthy and delicious way to beat the flu. My kids love these! In fact, that is why the ones in the picture above look a little rough — little hands kept touching them while I was trying to take pictures! 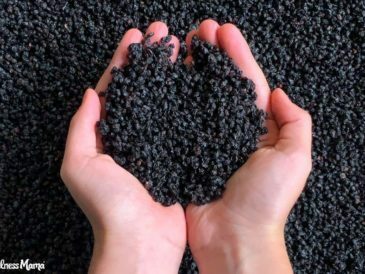 To make this recipe, you’ll need to make homemade elderberry syrup first (don’t worry, it is easy!) and then make them into gummy bears. 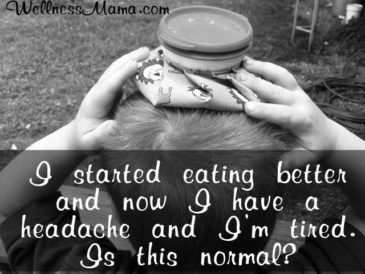 Homemade gummy bears with a base of elderberry syrup help boost the immune system and are fun for kids (or adults) to take! 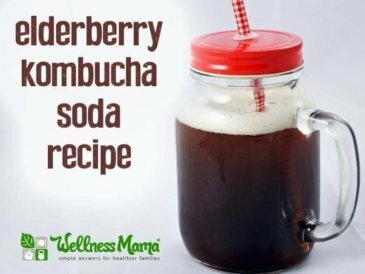 Place ¼ cup of cooled elderberry syrup in a 2 cup measuring cup and quickly whisk in the gelatin powder. Pour into molds and refirgerate for 2 hours or until completely firm. Pop out of molds and store in airtight container with parchment paper between layers. Will last up to a week in the fridge in an airtight container (could last longer, but I haven't tried it since they never last that long at my house!). 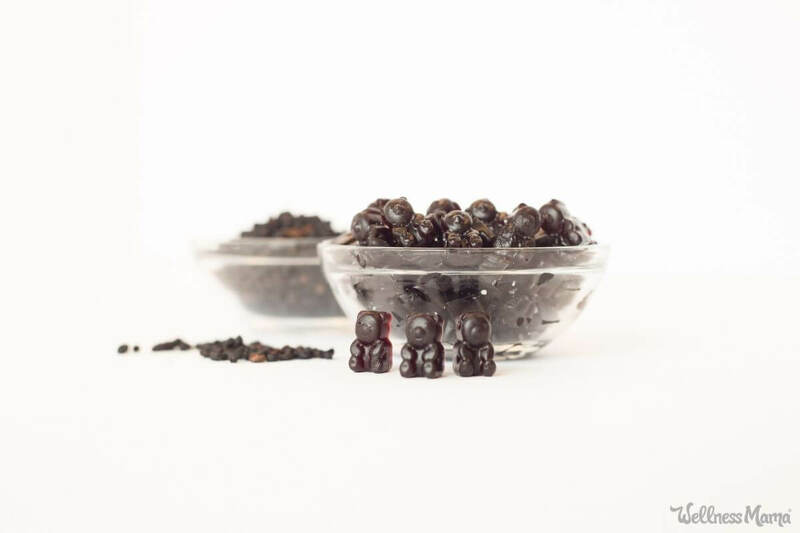 Ever tried to make homemade healthy gummy bears? How did they turn out? 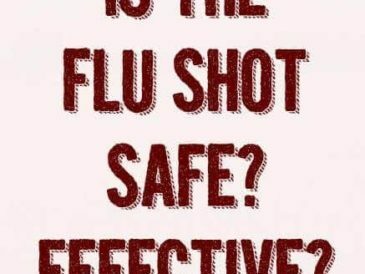 Share below!